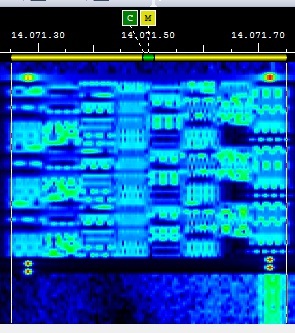 What the heck is that mode? 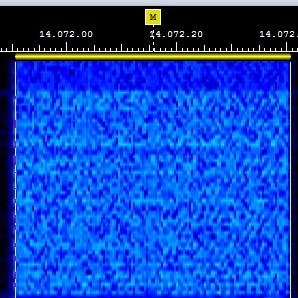 I’ve often seen a trace on the waterfall that I couldn’t identify. 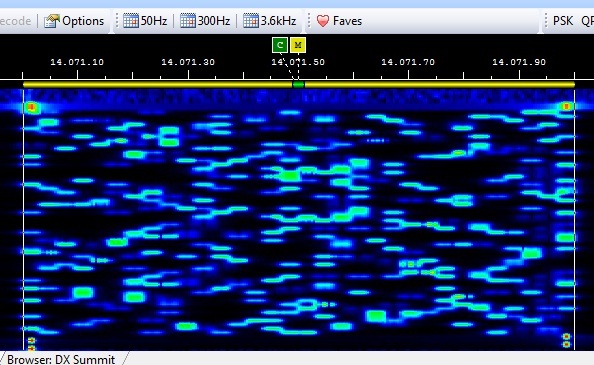 By the time I tried decoding it in a few different modes, the signal was gone. 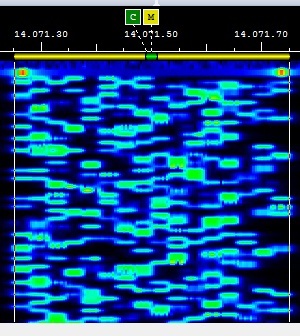 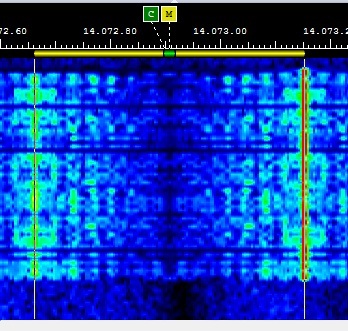 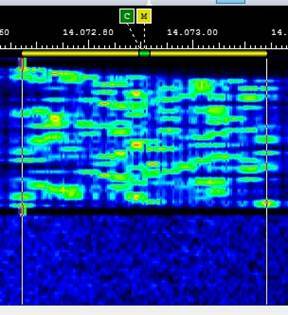 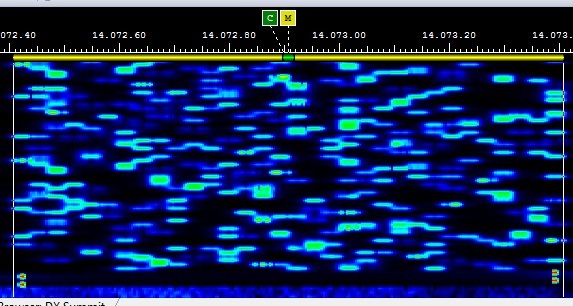 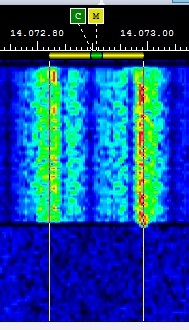 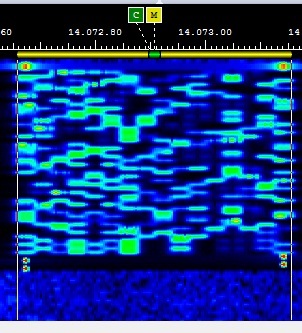 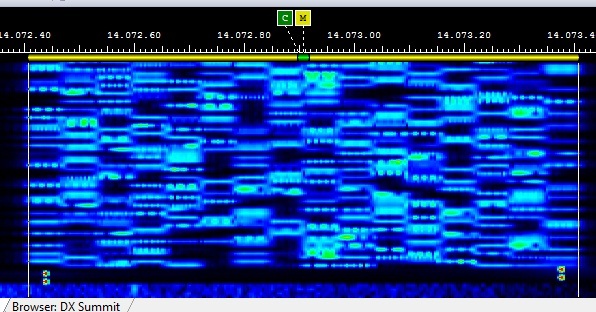 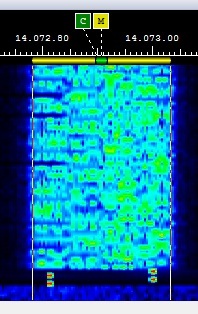 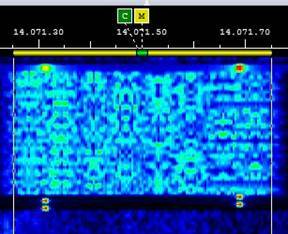 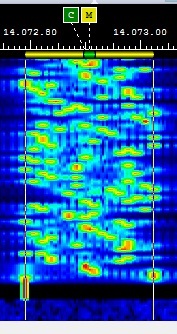 A lot of traces I can identify: PSK31, PSK63, PSK125, MFSK16, RTTY, but a lot more are still mysteries. 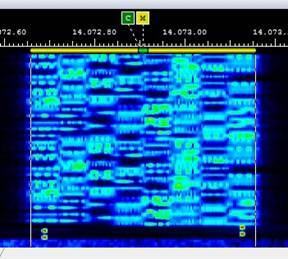 So I thought I’d create this document from screen shots of the transmissions that DM-780 can produce. 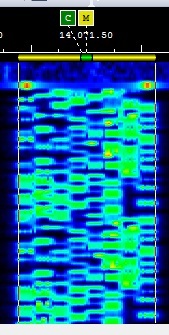 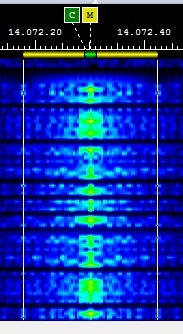 I’ve organized it by width of signal as the width is the first thing I notice. 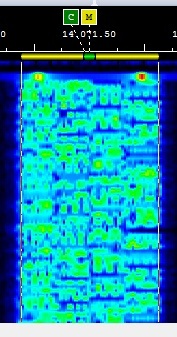 This document does not contain traces of all the digimodes. 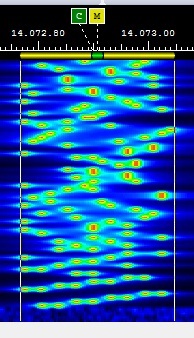 New modes are being developed all the time. 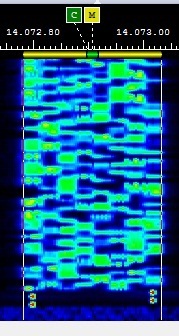 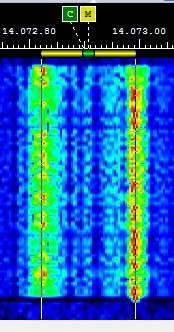 The traces shown here are the ones I could generate from my DM-780 installation. 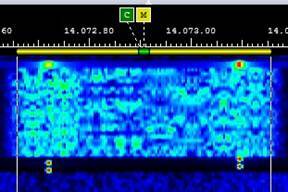 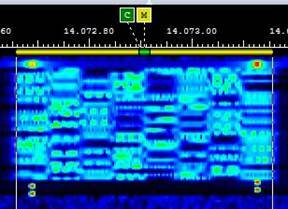 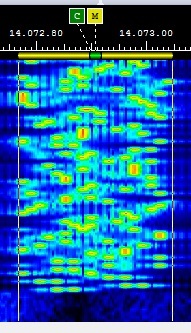 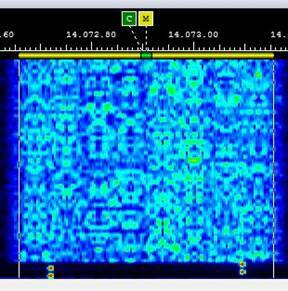 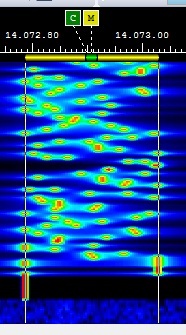 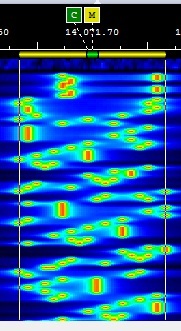 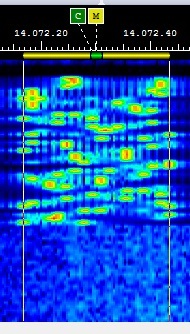 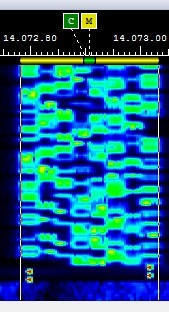 No QRM was created making these traces as RF Output was zero into a dummy load.